Anne began to practice boxing quite late, at the age of 23. At first, she trained as a recreational hobby but she was encouraged by her coach to start competing and quickly joined the competition team. After a few months of training, Anne had her first fight on March 1st, 2014 and immediately had the itch to pursue a boxing career. Her favorite aspects of the sport are technique and boxing tactics. She likes the idea of hitting her opponent without getting hit in return. Anne appreciates that boxing is a very demanding sport, where you can always go beyond its limits. In the short term, Marcotte wishes to compete in the World Boxing Championship. She has the aspiration to give back to the sport, by perhaps becoming a trainer and at the very least, she wants to have the opportunity to pass on her passion to young girls. Apart from her boxing career, Anne received a bachelor’s degree in Literary and cultural studies at the University of Sherbrooke. She is in the process of completing a master’s degree in French studies at the University of Sherbrooke, respectively. LIFE & CAREER OBJECTIVES : Work in cultural arts or education. Travel around the world. Sara Haghighat-Joo started boxing at the age of 16 at the Astoria Boxing Club in Vancouver, BC. She initially started because she grew tired of team sports in high school as one of her coaches held told her she would not get much playing time. It is her parents that suggested she try out boxing. At first, she did it for the fitness aspect of the sport, but after only four months of training, her coach taught she was ready to start sparring and that is when she quickly realized she was quite good at boxing. In the short span of four months of sparring, she had her first bout at the BC Golden Gloves Tournament and she won the competition in the Youth division and later on, as an Elite boxer as well. Even since, she never looked back and she moved halfway across the country, away from her hometown and family, to pursue boxing and train with the best. She knows that every decisions she made were the right ones to get to where she hopes to get. Sara completed two years of her Undergrad in Human Kinetics. She transferred from University of British Columbia (UBC) to the University of Guelph, but she it currently taking it very slowly as she is currently training full-time for boxing. She would like to become an Athletic Therapist. LIFE & CAREER OBJECTIVES : Eventually, when she finishes her schooling, she would like to become an Athletic Therapist. All my life, I suffered from a lot of injuries and I want to be able to give back and share the knowledge about whatI went through as an athlete and how to overcome these injuries. Sabrina Aubin made her boxing debut at the age of 21 after seeing the movie “Million Dollar Baby”. At the time, Sabrina had been playing basketball for nine years, but a knee injury prevented her from pursuing the sport further. She then decided to set a new sport objective and the movie made her want to try boxing, a sport where her knee would not be a problem. She first started out as a recreational member, but rapidly transition toward competition. The technique, the strategy (similar to a chess game) as well as the challenge that boxing represents are her favorite aspect of the sport. PLACE TO VISIT IN HER LIFE : Everywhere I’ve never been! Growing up, boxing is a sport that Tania had an interest in and it’s only in 2016 that she finally enrolled in a boxing club. She grew up being inspired by former World Heavyweight Champion, Mike Tyson. She found his life story interesting and found a liking to Tyson’s peek-a-boo style, which was instilled in him by his mentor and trainer, Cus D’Amato. Having an older brother, she would enjoy play-fighting with him as a child, which led to her interest in boxing. She also played basketball growing up. Her brother encouraged her to continue playing basketball, while at school, so she could get a scholarship and be accepted into university. She is currently studying Physiotherapy and will be graduating soon. Her goals in boxing are to one day represent team Canada in the Olympics and compete professionally. Originally from Paris, Caroline Veyre immigrated to Canada in 2003 after visiting the country a few years earlier as her mother came to Montreal for cancer treatment. She first started boxing when she was 18 years old. Throughout her teenage years, boxing allowed her to grow as a person and gain confidence as she had difficulties to express herself at the time. According to her, sports enables you to develop great qualities that you can apply to all aspects of your life, such as discipline, sense of organization, determination, confidence, perseverance and optimism in order to tackle life and forge ahead! During her very first Canadian championships in 2009, Caroline earned the bronze medal and grabbed the silver medal at 2012 edition of the same championships. In 2013-2014, she won the National title for two consecutive years. During the same year, she also participated in her first Continental Championships where she claimed the bronze medal and also repeated her performance the following year. One of her career highlight occurred when she grabbed the gold medal during the 2015 Pan Am Games in Toronto. Beside her career as an athlete, Caroline also obtained her bachelor degree in translation. She plans to continue boxing for a few more years. Her dream is to participate in the Olympic Games and earn a medal. In the next few years, she would like to open her own boxing gym and become a coach. At 15 years old, Irene joined a boxing class in her local fitness center with a few friends from school. This is when and where she discovered her true passion. For three years, she only practiced boxing as a recreational hobby and in 2007, she had her first boxing bout at the chicken festival in Montmagny. Irene was enrolled in many sports growing up. Those included athletics, judo, swimming, tennis and taekwondo. She only got attracted to boxing once she joined the boxing class at her local gym with her friends. As the classes went on, Irene and her friends were competitive with each other. Every time one would show progress, everyone else had to catch up. This was very motivating for her. Irene has a good understanding of sports and how the human body operates. She obtained a bachelor’s degree in Kinesiology in 2015. The 2018 Canadian Champion is looking to participate in the 2020 Olympic games in Tokyo. Afterward, she wants to make the switch to a professional boxer. Beside her career as an athlete, Sara is currently completing her bachelor in Administration. In the next 10 years, she wishes to have completed her studies, be an administrator in a large company and she also dreams to become a World Champion. In any case, she will remain involve in the boxing world. FAVORITE MUSIC : All types of music but Rock- Reggae, Hip Hop, French rap, RnB, Dance Hall, Classical music, etc. Marie-Jeanne Parent started boxing at the age of 13 when her older brother, who’s also her role model, started training and she wanted to follow in his footsteps. They continued training together and two years later, they both competed at the Gants de Bronze. It was when Marie-Jeanne won this first competition that she got hooked on the sport and realized that boxing had become much more than a hobby for her. It is the technical aspect as well as the intensity of the sport that captivates her. During her training, she loves to practice countless times the same punch or movement to be able to execute it perfectly in the ring at the right moment. She gets an indescribable feeling when it occurs. Beside her boxing career, Marie-Jeanne as completed her collegial studies in languages since it is one of her passion. She is currently in the fourth year of her bachelor degree in preschool and elementary education at Laval University. As for her aspirations in the world of boxing, she dreams to participate in the World Championships, the Pan Am Games as well as the Olympic Games. She also wishes to travel worldwide with boxing and for her personal pleasure to discover other countries. FUN FACTS FEW PEOPLE KNOW ABOUT HER : I’ve done a theatre play in 4 languages (French, English, Spanish and German) and I’m passionate about coffee (I’ve been working in a Coffeehouse for two years now). LIFE & CAREER OBJECTIVES : In regards to my professional career, I would like to do a master or a graduate degree in cognitive psychology or relating to the various learning disabilities with children with troubled circumstances as well as the effective interventions with the latter. This objective is due to that fact that I wish to become a teacher who will enable everyone to reach their full potential. My life objective is to start a family and travel with them to discover various cultures because I believe that in order to understand our own culture, we must know how to compare to others. Da Silva started her athletic career in soccer. She was 10 years old when she signed up for soccer practice and by age 12, she was an elite player. She played soccer for a decade and had intentions of making the national Olympic team. Unfortunately, this was not possible due to some injuries. She wanted to change sports and signed up for a cardio-boxing class in her university. She immediately grew a liking for it, because it demanded a high level of concentration. Randomly, a boxing trainer walked into the store where she was working at the time to shop and asked her if she ever considered trying competitive boxing. At first, Myriam was hesitant. After two weeks of contemplating, she signed up at a boxing club and six months later, she made her in-ring debut. In the beginning, boxing attracted her because of its intensity, which is something her ego needs. Also, her mother was always proud of women who accomplished unexpected things. In a newspaper, they found her current boxing coach, Danielle Bouchard, which they found to be a role model. She became serious about boxing but did not tell her parents in the beginning. She told her parents after her first Silver Gloves competition. Her love for boxing was growing at a rapid pace as aspects such as concentration, physical performance, tactics, and techniques made her want to improve. For Myriam, boxing is not a violent sport. It’s about discipline and that is what she instills to the young boxers. Da Silva sees herself becoming an elite boxer and her dream is to compete in the Olympics. In addition to her boxing ambitions, she also has a Bachelor’s degree in school and social adaptation from UQAM. PLACE TO VISIT IN HER LIFE : Too many places to list them all! Tammara Thibeault was only 10 years old when she started boxing. Originally, it was an activity that her older brother and father were doing together for fun, but eventually, she ended up going with them on a regular basis. When her brother quit the sport, she stuck to it and never looked back since! At first, she wanted to try boxing because her father is her greatest source of inspiration and she wanted to be just like him. Over the years, she developed a true passion for the sport. She wasn’t very good at other sport and for once, she was told she had potential for her chosen combat sport, which motivated her to become the best she could be. Boxing has taught her the importance of patience, perseverance and dedication. For a long time, the boxing club was the only place where she felt comfortable enough to truly be herself, hence helping her build her confidence while growing up. 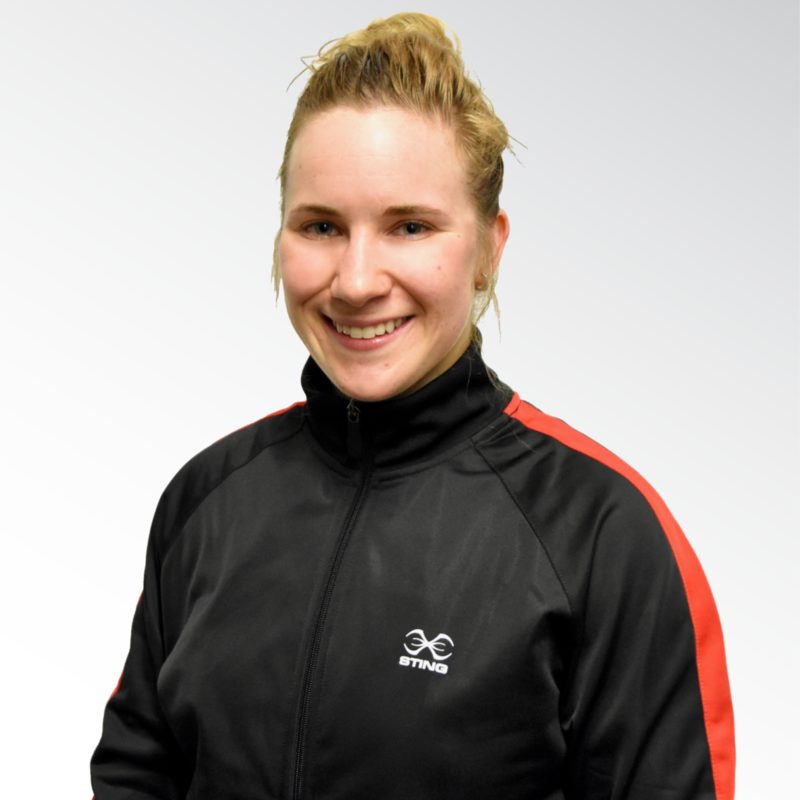 Beside her career as an athlete, Tammara obtained her CEGEP degree and she is currently completing her Bachelor in Linguistics as well as two minors in Mandarin and Spanish. Afterwards, she will pursue her Masters in Business and Administration. FUN FACT THAT FEW PEOPLE KNOW ABOUT HER : I can sing! Although Natali has always had an interest in martial arts, she did not have the opportunity to start her training until she was 21 years old. She practiced several martial arts in her twenties, including jiu-jitsu, kickboxing, and worked herself up to a black belt in uechiryu karate. She joined a boxing club in her town and had her first bout three short months later. After moving to Halifax in 2016, she decided to focus on boxing training only. She admits it was a hard choice to make but is reassured it was the correct one. Fagan had a rough childhood and as she grew older, she became closed off from society. She liked martial arts because it gave her the opportunity to express herself physically in a constructive way. The sport of boxing gave her confidence and she grew stronger both physically and mentally. The boxing community helped her be more involved in society and resolve her personal issues. She finds that boxing is just as much about confronting yourself as it is about facing an opponent. It is about your own mental strength and weakness, and it forces one to become stronger in different areas in one’s life. She does not plan too far ahead in the future as she finds life to be very unpredictable. She is hoping that her future involves boxing in some capacity. In addition to her boxing career, Natali has a bachelor’s degree in Science in Biology and a Graduate degree in Ocean Technology. She obtained her degrees while she was training and competing in boxing. Marija Curran used to compete heavily in Jiu Jitsu from ages 10 to 18, but it is at the age of 15 that she decided to take boxing lessons to help with her hand game. She was boxing recreationally to help with her sport (Jiu Jitsu) all through high school and university. After her graduate degree, she took up boxing as she wanted to compete in some sort of combat sport again and she was quickly integrated into the competitive program at Beaver Boxing club. While her initial gravitation towards boxing was a means to an end, to improve her Jiu Jitsu, her continued involvement in the sport is motivated by respect. She has a great respect for classic, traditional sports such as boxing and she loves how her newly adopted sport remained largely true to its origin despite the massive changes in the world around it. It has stood the test of time. Also, she loves how boxing challenges her and she gets to do that every day. In the next ten years, Marija pictures herself continuing her participation in the sport she loves in a coaching capacity. Ideally, she would like to give back to the sport, and the country, by eventually coaching amateur boxers on the international stage. She would also like to run a boxing program aimed at risk youth, particularly girls, to help them develop confidence and life skills through boxing. 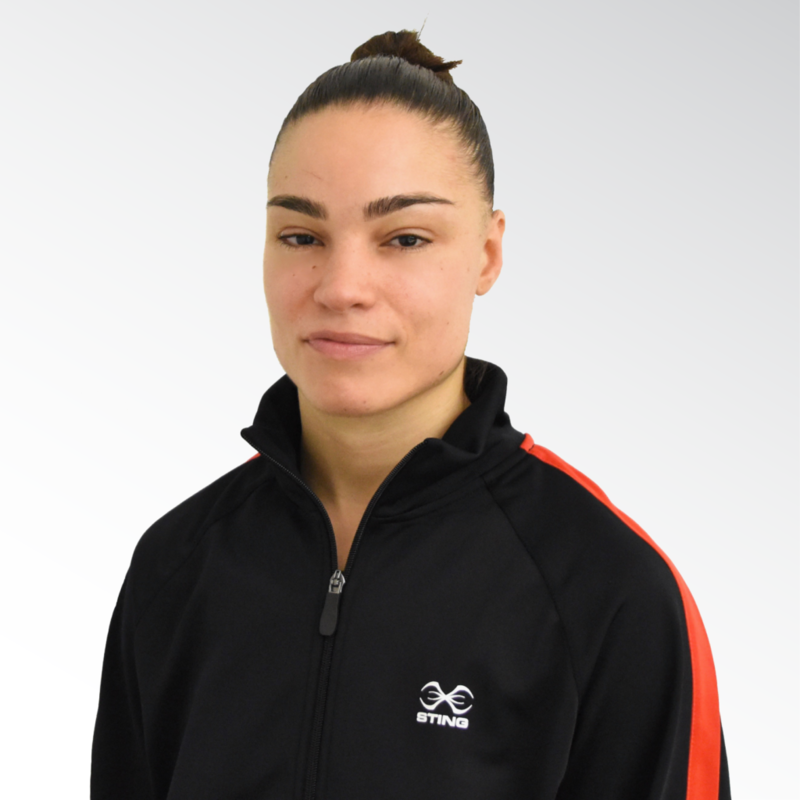 Beside her career as an athlete, Marija obtained her Bachelor of Arts in Communications and Political Science at the University of Ottawa and her Masters in Communications at the University of Carleton while training as a boxer. Today, she works full-time as a Communication Officer for Fisheries and Oceans Canada. OTHER SPORTS & HOBBIES : I don’t have time for other sports or hobbies. I work, box and then apologize to my friends and family for being so busy when I’m not doing those two things. PLACES TO VISIT IN HER LIFE : All of Canada’s coasts and various parts of Africa, starting with Egypt. Jaspreet Singh followed in her older sister’s footsteps. Indeed, she was a boxer who won multiple Canadian championships, which motivated Jaspreet to start boxing at the age of 8 and she started competing at 14. Jaspreet loves the general experience of competitions and boxing training. Involved at the club from a young age, she find people in boxing are very positive and she finds it fascinating how much mental preparation is required for such a physically demanding sport. In the future, she would like to be more involved with children within the community by obtaining her coaching license to expose them to the positive benefits of sports. Beside boxing, Jaspreet is currently enrolled at Humber College in the first year of the Community and Justice Studies. Justin was introduced to boxing at the age of seven by his older brother who was an amateur boxer. His brother would bring him to the boxing gym occasionally. He only took his training seriously once he turned 15 years old. After being part of the junior high school football team, he was looking for another sport to engage himself into. Since boxing was a sport that he had been practicing occasionally, he decided to start training seriously and progress in it, and then decided to sign up for boxing classes with the intention of competing. In the beginning, it was hard for him to train because he was the only teenager at the club and everyone else was adults. He found the training rigorous and sparring hard because his training partners were considerably heavier than him. He even considered quitting but did not and pushed through as he did not want to quit on himself. After only six months of training, he had his first bout. Parina has big goals in mind for the future. 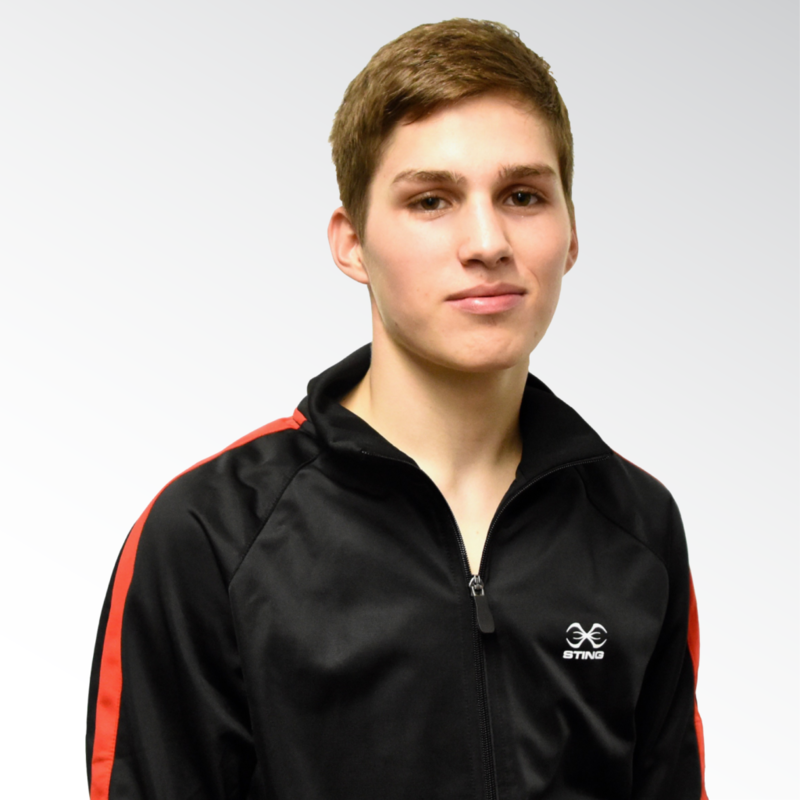 His objectives are to earn a spot to compete at the 2019 Lima Pan American Games and at the Tokyo 2020 Olympic Games and he also wishes to pay off his parents’ mortgage. In five to 10 years from now, he envisions himself finished with school and employed, earning a good salary so he can provide for his loved ones. He says he will still be as obsessed as improving then, as he is now. Eric Basran started boxing at the young age of 11. Prior to his debut, he practiced kickboxing, but he truly fell in love with boxing. Eric loves that boxing is an individual sport that is as demanding physically than mentally. He enjoy the tactical aspect that goes into the sweet science as well as the hard work that is necessary during trainings. Eric wishes to participate in the Olympic Games before becoming a professional boxer. Beside his career as an athlete, he is currently studying in Criminology. It is safe to say that Kevin Grimard has martial arts in his blood. When he was only one year old, his father opened a martial arts academy and started instructing muay-thai, mixed martial arts, boxing and other combat styles. Kevin grew up in the gym around his dad. He would re-watch the Rocky movies over and over, and practice at the gym. At the age of 12, he became more serious about combat training and had his first MMA bout in 2009. Shortly after his MMA debut, he realized that boxing was more natural for his style and grew a deep passion for it. Kevin sees boxing as an art that requires a lot of mental and physical skills. He loves the thrill of stepping into the ring and overcoming challenges. He envisions himself representing Canada at major games such as the Olympics, amassing medals and eventually becoming a professional boxer. At the moment, Kevin is a boxing and muay-thai coach at his family’s gym, Academy Sparmax. Thomas Blumenfeld began boxing at the very young age of 8. His interest for the sport was sparked when he discovered an old pair of his father’s boxing glove. He won his first bout by TKO in the 2nd round when he was 8 years old. With a very promising start, Thomas was determined to surpass himself. According to Thomas, boxing is much more than an individual sport; it takes the joint effort of a team to become successful. The young boxer believes he is very well surrounded in that sense and his father is a great source of inspiration in the boxing ring as well as outside the boxing world. 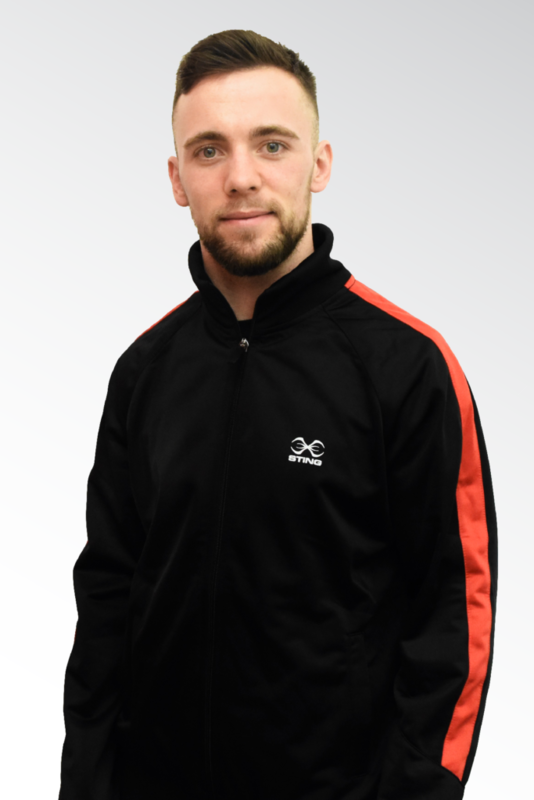 With already more than 100 bouts to his active in the last nine years, Thomas wishes to climb on the highest step of the podium at the Olympic Games and eventually become a professional boxer. Harley-David discovered his passion for boxing at a young age when he used to watch Roy Jones Jr. He was so impressed by what he could do in the ring and he wanted to do the same. However, it is only at the age of 24 that he made his debut in the sport. Before boxing, Harley-David practiced other martial arts, including kick-boxing and Muay Thai, but none of these sports interested him as much as boxing does! FUN FACTS THAT FEW PEOPLE KNOW ABOUT HIM : I’m terrified of heights, I hate long walks on the beach and I fall in love with every dog I see. LIFE & CAREER OBJECTIVES : I want to become a World Champion as both an amateur and a professional fighter, I want to break the laws of physics and become a Super Saiyan. Alexis Barrière started boxing at Club Proboxe when he was 20 years old. 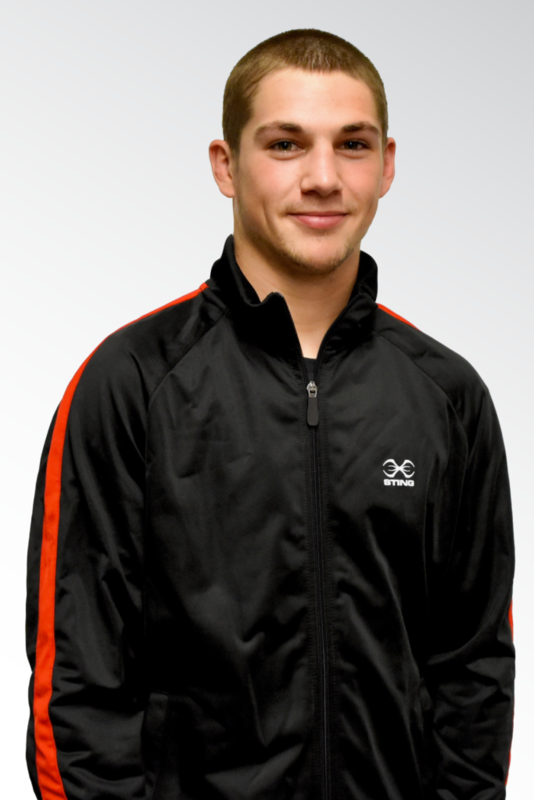 His coach, Marc-André Gauthier, saw potential in him and never left his sight since his debut. He loves boxing since it is a sport that allows your to surpass yourself and is includes both physical and mental aspects. The 91+ Kg Canadian representative wishes to win an Olympic medal and become World champion. Beside his boxing career, Alexis also works at the Military College in Fort St-Jean.